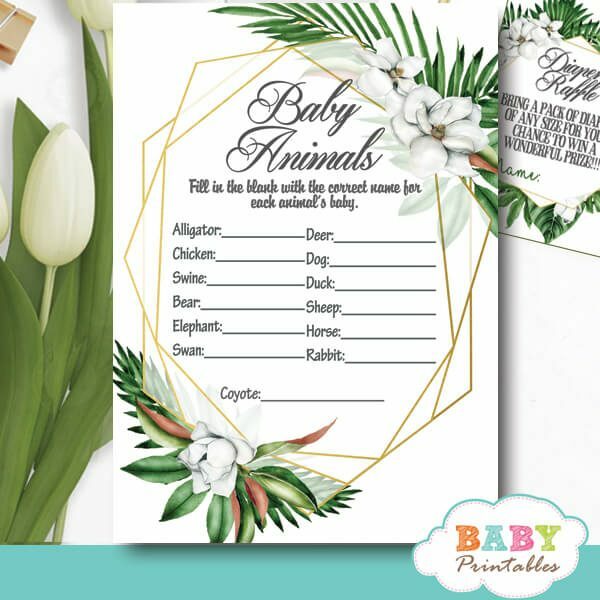 A beautiful selection of Greenery baby shower games featuring geometric frames in gold decorated with an arrangement of tropical leaves and white magnolias against a white backdrop. 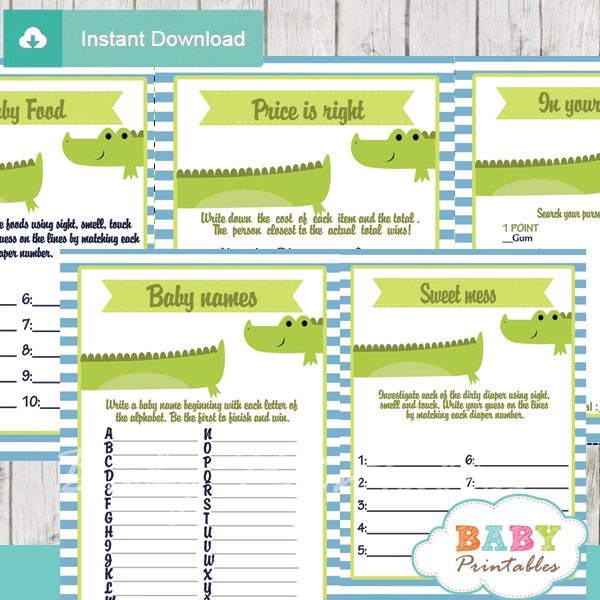 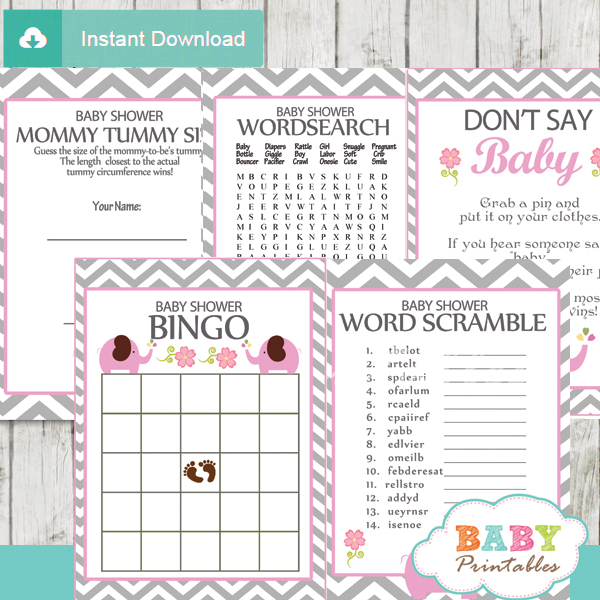 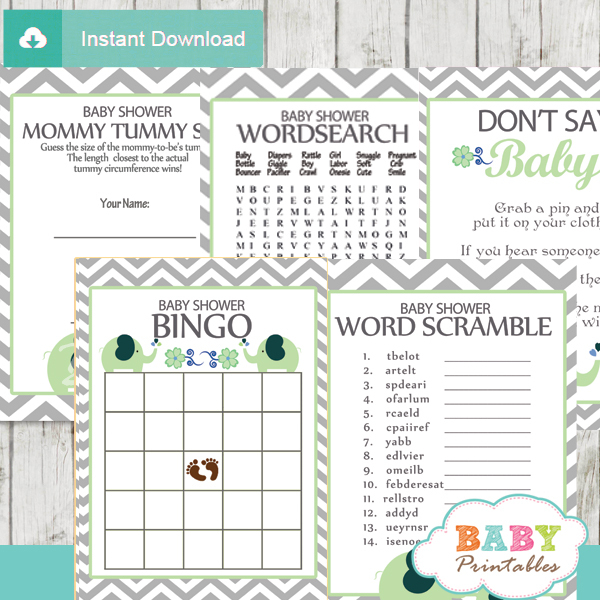 The fun to play greenery baby shower games use a mixed modern typography in gray for a chic gender neutral theme. 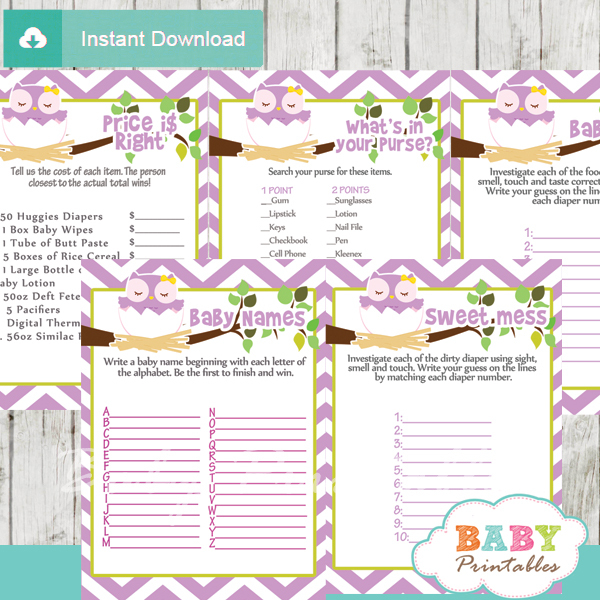 ★ Click to view our greenery baby shower collection.